The TV Center maintains a versatile, broadcast-quality studio production facility and continues to invest in technologies that provide new avenues of production support and distribution for our clients. One of the first fully high definition production facilities in the state, the center is home to the only high definition Ku band uplink station in northeast Mississippi and remains a leader in both the resources and expertise needed to fulfill almost any production requirement. 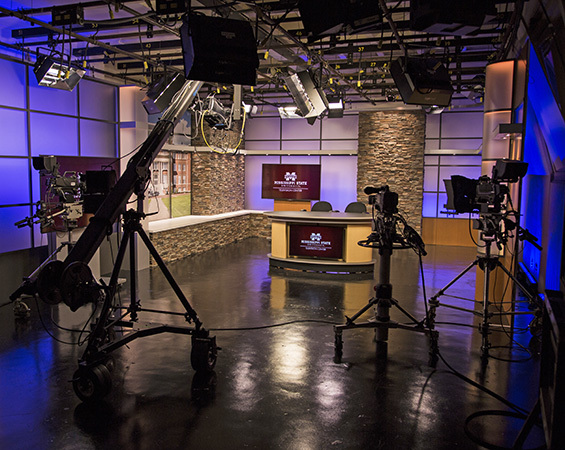 The TV Center’s primary production studio, Studio A was upgraded July 2015 with new electrical, lighting fixtures and control systems, flooring, and a flexible set design, allowing for a greater variety of show production and faster turnover times. The studio features four cameras, two of which have full teleprompter and one camera mounted to a six-foot Jimmy Jib triangle. In addition, multiple channels of wired and wireless IFB are available for talent use, and the primary set can be used for news, interviews, entertainment / sports programming, and satellite interviews. The set also has a 75’ rear traveling black drape and a three-sided cyc track, creating a large neutral space for other production needs. 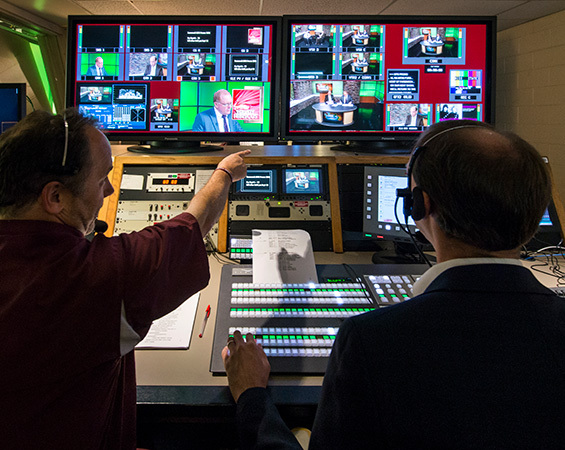 One of the first all high definition control rooms in the state of Mississippi, Control A features a wide range of production, recording, and transmission formats designed to meet clients’ current and future needs. Powered by a Ross Vision two MLE video production switcher, the control room’s production assets include digital and analog audio mixing, full teleprompter and closed caption encoding and decoding support, two channels of high definition CG, and a number of channels of cross-format conversion. In addition, productions can be recorded to DVCPROHD, XDCAM-HD, P2, BetacamSP, DVCPRO50, and Apple ProRes 4:2:2. 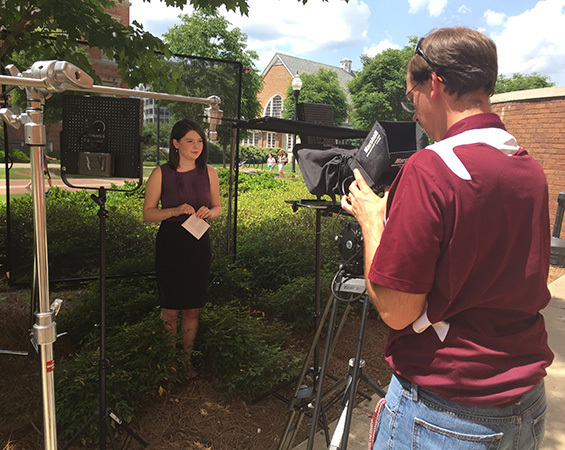 The center’s Ku satellite uplink allows for two way live interviews, and our cable channel distribution system transmits to thousands of homes across Mississippi. In addition, the TV Center offers live streaming of programming on an as-requested basis. 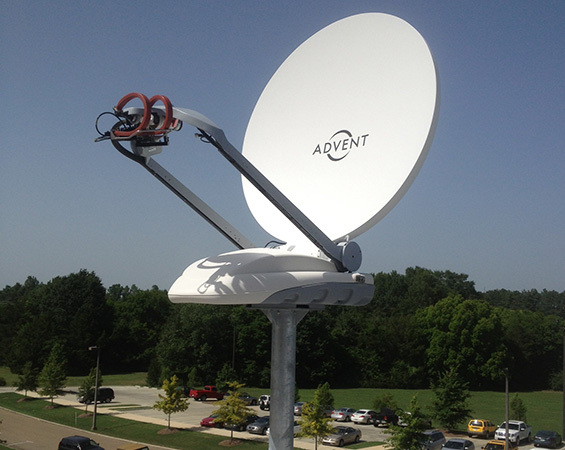 The TV Center has maintained an uplink presence for nearly thirty years and recently upgraded the primary uplink system to a Ku band high definition digital system, supporting a wide range of transmission formats. The control room is capable of multiple IFB and PL feeds and offers both live interviews and methods to transmit taped feeds back to stations and networks. The TV Center offers a number of field production systems to suit clients’ needs. In addition to standard ENG Panasonic shoulder mount P2 cameras, the center is investing in new styles of production support, including a number of Canon C100mkII and EOS 5DmkIII cameras and GoPro POV cameras. Full lighting and camera support packages are available; Litepanels 1x1 kits, Arri Softbank III, Lowel lighting, and Chimera accessories create a number of options for production services. The center also has camera sliders and a twelve-foot Jimmy Jib Triangle for high end production. 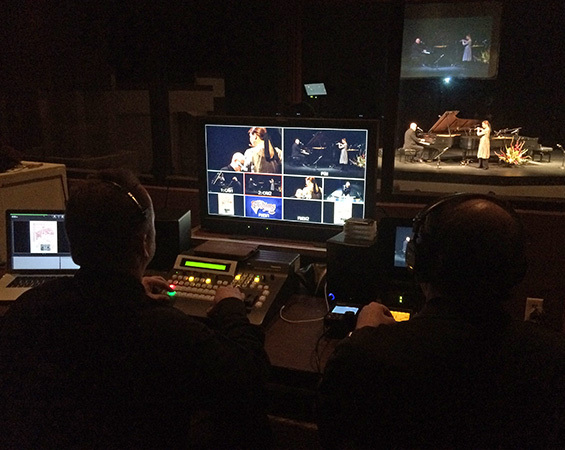 The TV Center’s multi-camera field production system offers a studio production experience in remote locations. From commencement to concerts, the field production system can accommodate up to six high definition cameras and offers a single channel CG package. Recorded video playback and streaming options are available and a Teradeck wireless camera system offers maximum flexibility in camera location and movement. The TV Center’s post-production capabilities are designed to adapt to the clients’ needs. Six edit bays, featuring Mac Pros running Adobe Creative Cloud, are networked to a 47 terabyte network storage system, creating a faster, more productive production workflow and adding additional layers of data security and archival. In addition to Creative Cloud, the graphic design suite offers 3D animation using Cinema 4D and a host of additional plug-ins, filters, and templates. DVD authoring and duplication, audio recording services, and technical analysis of video streams and files round out the center’s ability to ensure your project is produced at the highest quality.